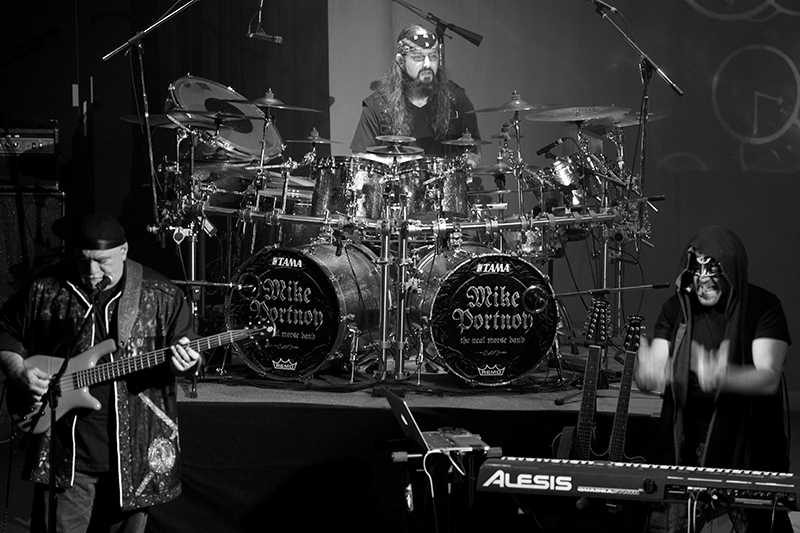 Mike Portnoy. Why this man has his name on his bass drum heads is beyond me. I mean, come on! If you drum, you know this guy. 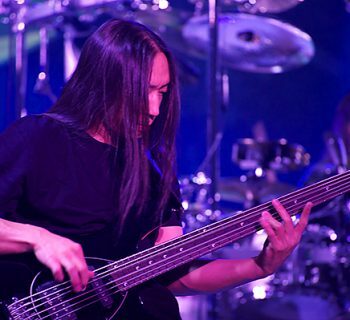 And if you love modern metal or prog metal, you know this guy. If you watch That Metal Show, you know this guy! Jokes aside, Mike is one of the greatest progressive rock drummers of our time, and there is simply no mistaking who is behind the kit whenever you hear him, as his style is so easily identifiable (and so challenging to emulate!). 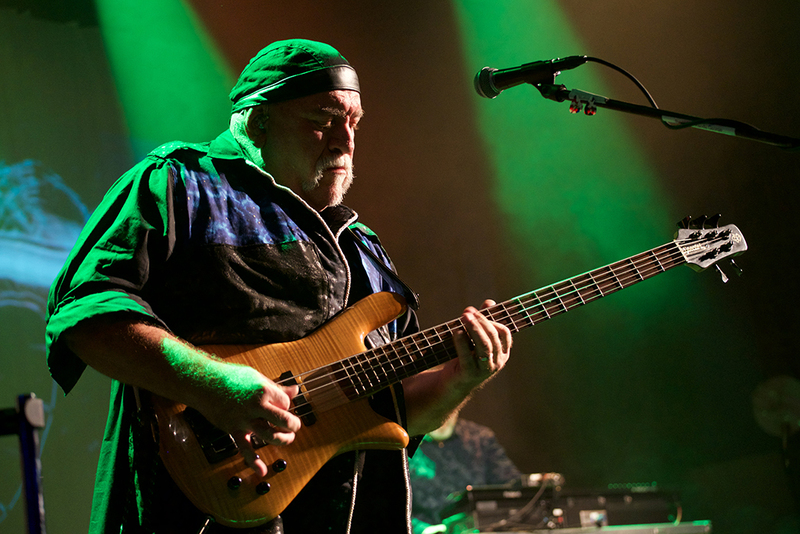 Mike adapts to suit whatever group he’s supporting, but we think you'll find his most musical and diverse performances on records he has made with Transatlantic, on Neal Morse’s solo records, and with the Neal Morse Band. 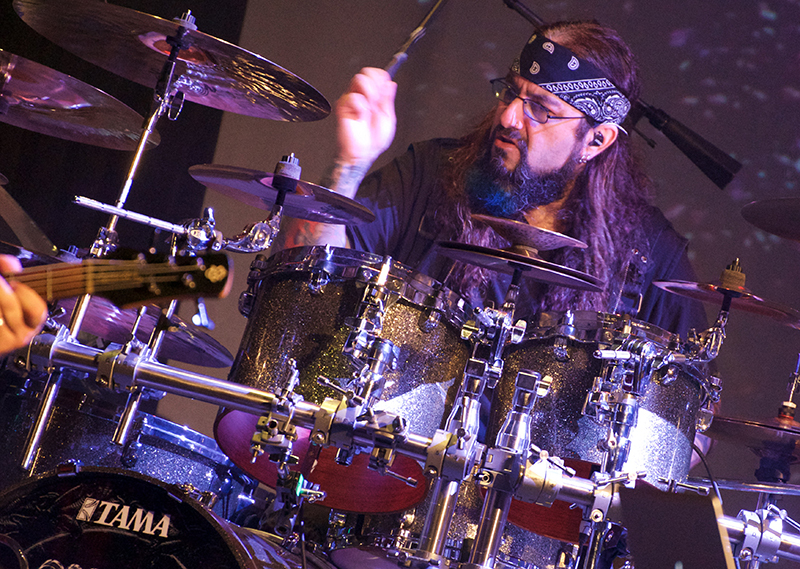 In these settings, Mike really demonstrates his mastery of all things drums, combining his precision and dexterity with the musicality that these melodic progressive groups demand. If you’ve only ever listened to Mike’s work in heavier groups, you’re missing out on what we felt are his finest performances. I don’t want to be doing that mechanical, technical, overly mathematic style anymore. MP: Thank you! We’re four days in. MP: Well, we’re really proud of it, man. It was a massive undertaking for us to follow up Similitude, which was something we were so proud of. It took a lot to get to where we are with The Great Adventure, and we’re so happy with the results and we can’t wait for everyone else to hear it. I’m glad you love it, too, so thank you. MPc: You’re welcome. I bet many fans have no idea that you’ve played on more Neal Morse records than with any other artist including Dream Theater. Going back to the start, how did you first get involved playing with Neal? MP: I will say I’ve already far surpassed my Dream Theater catalog with Neal. Neal and I have actually done 20 albums together between Transatlantic, Flying Colors, Neal’s solo albums, and now Neal Morse Band. The Great Adventure is literally our 20th studio album together! Yeah, it’s a very, very deep musical connection in history, at this point. I’ve made more music with him than anybody in my life, including Dream Theater. How did it start? I was a Neal Morse fan. As soon as I discovered Spock’s Beard, with their first album in 1995, I immediately became their biggest cheerleader and supporter, and supported them through all those years, and even took them out as an opening band for Dream Theater in 2000. About a year before that happened, Neal and I started working together with Transatlantic. In 1999, we did the first Transatlantic album, and that was our first album together. Here we are 20 years later and 20 albums later. MPc: Wow. I didn’t even comprehend that it’s been that many records. That is amazing. MPc: What was the songwriting process like for The Great Adventure? And compare that to songwriting process with previous Neal Norse Band records in particular. MP: Well, the process was the same as the previous two Neal Morse Band albums, The Grand Experiment and Similitude of a Dream. Starting in 2015, we expanded the formula of what used to be, for Neal Morse’s albums, just Neal, myself and Randy [George, bassist]. We brought in Bill Hubaur and Eric Gillette and formed an actual band, the Neal Morse Band. From that point on the process changed. It was completely collaborative, everybody was welcome to be involved. The singing was split four ways between the four of us, rather than Neal singing everything, so it became a real band. But the process for all three Neal Morse Band albums was pretty similar. We get together, we take bits and pieces that everybody brings in, and then we kind of put it in a melting pot and collaborate and elaborate on all these ideas. But I would say The Great Adventure took a lot longer than the previous two, because it went through a lot of different stages. There were a lot of stages to get The Great Adventure where it is. I think I could elaborate on that, as well, if you want. MP: Well, it’s funny, because when we first got together to work on this album, four of us were really adamant about not doing a Similitude sequel, and we really wanted it to be a single album, as well. We just felt we had such a mammoth piece with Similitude that we didn’t want to repeat that same formula again, and we wanted to completely mix it up. So we went in and started writing, and ended up at the end of January 2018, we ended up with a finish album. It was a single album comprised of three huge, long, epic songs and then one small song. It was very similar to [the Transatlantic] Bridge Across Forever kind of format. That was going to be the album, and I was going to start tracking my drums in March. Between the time we finished the album in January, and the window that I was supposed to begin recording in March, Neal came back to us with a real strong, strong, strong feeling about working on the music some more and making it a companion or a sequel to Similitude. So it went through a lot of transitions, and we ended up having to go back, look at everything we had written, and rearrange everything and rewrite it and then work in all the Similitude ideas and themes. The whole process ended up taking about a year from start to finish. So it took a lot longer than the previous two albums. When you’re in the studio, you kind of want a real wooden kit. MPc: So how do you guys go about the songwriting process in general? Does it start with a couple of weeks together, or do you start with shipping demos across to each other over the internet? MP: It starts with sending demos and then we don’t generally talk about them via email. We kind of just collect them, and I’ll start listening to them and cataloging them and making notes, and then we schedule a time that we’re going to get together. We always get together at Neal’s, and at that point we begin collaborating and working together. Then once we have a finished piece to our idea or album, then I’ll track my drums, and at that point everyone else will go off and do their individual things. During this long process that I just talked about, with the rewriting and the discussion and deciding whether or not it should be related to Similitude or not, we had to do a lot of Skype conference calls. There’s some funny videos out there that I think Randy put on the Making Of DVD for this album, and it shows some of these Skype conference calls with the five of us discussing everything and making decisions. MPc: Nice. Moving on, I love the sound of your drums on The Great Adventure in particular. I really thought your drums sounded better recorded and produced than some of the other recent records. MPc: Did you make any changes in particular for this record? MP: I would have to give the credit to the combination of [engineers] Jerry Guidroz and Rich Mouser. They’ve been a part of all of these albums I’ve done with Neal. I’ve done, I think, 20-something albums with Jerry Guidroz at this point, as well. And it’s always been at Neal’s studio with the same kit, with the same engineer, and then Rich Mouser mixing it. It’s the same team, and the same room, and the same combination of people, and the same mics as all of these albums. I guess it’s just a matter of maybe Jerry tried something different with some of the mics, or maybe Rich did something with the mix. But any time Rich does a mix, he’s got to have an objective ear and try to bring it all together. He’s one of my favorite mixers in the world. I just love the way he makes all of these albums sound. MPc: Yes. So for people that aren’t necessarily familiar, tell us about the drum kit that you use on the Neal Morse records. MP: Well, it’s the same kit that I’ve used on all of the Neal Morse albums, Neal Morse and Neal Morse Band. I’ve used it on, I think, three out of four Transatlantic albums. I used it on the first Flying Colors albums. It’s a kit that lives at Neal’s studio, that Tama provided for me 20 years ago, whatever, and Neal now keeps it at his studio. It’s just a Tama kit, single bass, three racks, two floors. All of my splash and Chinas and crashes. It’s just my typical kind of Neal Morse setup that I’ve used for all these years and all these albums. MPc: I know for a while that you were excited about acrylic shells from Tama. What’s this kit made of? MP: The one that’s at Neal’s, I believe it’s a Starclassic Maple. But, yeah, the acrylic kit, I mainly use that for touring. 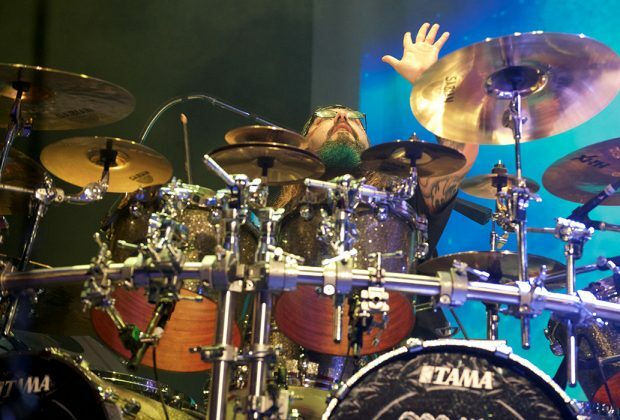 I toured with that kit with Dream Theater, and also Adrenaline Mob and Twisted Sister, and I think Avenge Sevenfold, as well. Yeah, that’s a great looking kit, but when you’re in the studio, you kind of want a real wooden kit. MPc: Do you have your Melody Master snare drum as part of this kit down at Neal’s studio? MP: Yeah. Always. I always use my Melody Masters snares, I always use my Sabian Max splashes and stacks. Anything that’s the signature stuff is pretty much with me everywhere I go. I use the 14 as the main, I use the 12 on the side. But I use them both. 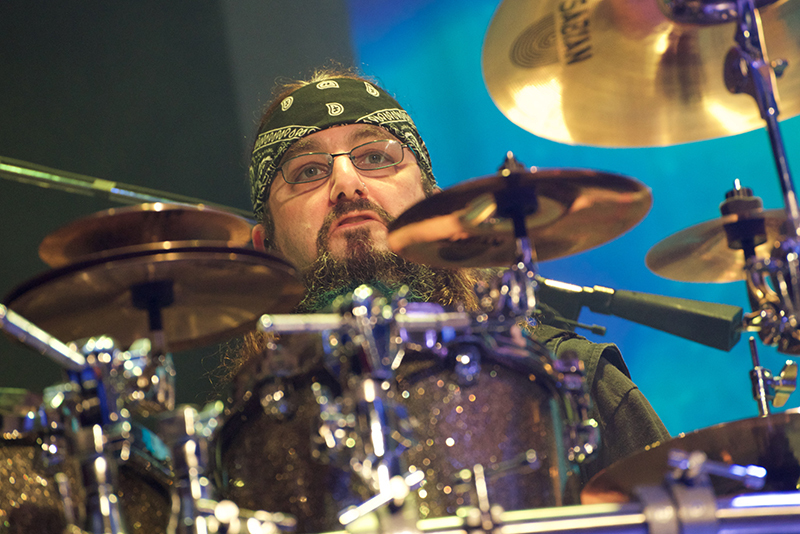 MPc: When I listen to your body of work over the years—and you can definitely feel free to take exception with my opinion... My feeling is that with each new Dream Theater record that you did, it sounded like you were constantly trying to push the limits of your drumming from a technical perspective. 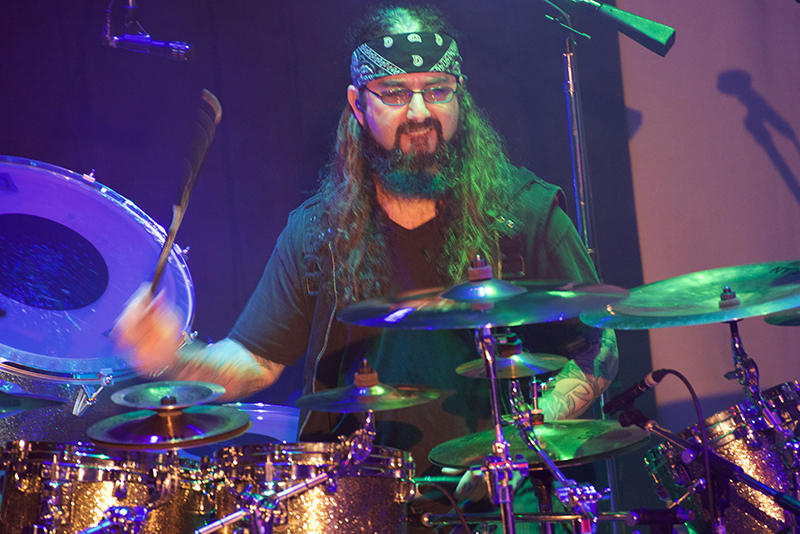 Whereas when I listen to the way you play with Transatlantic and on the Neal Morse records, I find that your performances come across as, sort of, more relaxed behind the kit. Now, when you listen to your catalog, and think about your playing with Neal Morse, with Winery Dogs, or Sons of Apollo, do you notice a difference in, what I’m going to call, drumming attitude? MP: Yeah. Well, each band requires a different style. I’m not just a drummer that’s going to do a session. All these bands, I’m not just the drummer, I’m also the writer, I’m also the producer. So in all these cases I put a lot of myself into the music, well beyond just the drumming. When it comes to the drumming itself, I think all these bands styles are very different. The Winery Dogs is more of a classic rock, bluesy, kind of funky thing. Sons of Apollo is more hard rock and classic hard rock with some progressive elements. Then, what I do with the Neal Morse Band or Transatlantic is a little more classic prog, in the vein of Genesis and Yes, mixed in with some Beatles stuff. Flying Colors is a little bit more Muse and Radiohead and U2. What I did with Dream Theater was very technical and required a certain technical level of execution. I have to adapt to all of these different bands. I think, on one hand, I do adapt, and I think what you hear me playing on a Flying Colors album or a Dream Theater album, or a Neal Morse album, they’re very, very, very different styles, but I think it always does sound like me. I think you could always pick out my certain nuances and my certain styles. I think everything I’ve done since Dream Theater, and outside of Dream Theater, is more relaxed—I think that was the word that you used. I think that’s just where I’m at at this point in my career. I don’t want to be doing that mechanical, technical, overly mathematic style anymore. I don’t know… I did that for 25 years. I have moments where I’ll incorporate that kind of stuff, but all the bands I play with now are kind of different outlets than that. MPc: Something that’s obviously critical to a drummer is locking in with the bass player. If I look at Pete Trewavas, Billy Sheehan, and Randy George, they are three very different kinds of bass players. Tell me about how playing with these different guys really impacts your approach. MP: I’m very blessed to work with so many great players. You mentioned Pete and Randy and Billy Sheehan. But you could add Tony Levin to that list, and Dave LaRue. Each one of them are very, very different. I think the most similar would probably be Randy, on the Neal Morse albums and Pete’s playing on the Transatlantic albums. A little similar. They kind of come from that classic Chris Squire school of prog playing. Mike Rutherford and Chris Squire and Paul McCartney mixed in there. So I think those guys are a little similar in that respect. Playing with Billy Sheehan is a whole different thing. I play with him in multiple bands. What we do in the Winery Dogs is a little more power trio driven, feels like Keith Moon and John Entwistle. It’s got that real open jam kind of cream flavor to it. Then what Billy and I do with Sons of Apollo is a little different because it’s a little more technical, a little more precise, a little more prog. But in both cases I lock in with Billy big time. We both are very similar players, where especially live on stage, we can just go for it. We just play off the seat of our pants and are in the moment, and never know what fill is coming at any moment, but we somehow are there together each and every time. Working with somebody like Tony Levin, he’s like improv. With Liquid Tension Experiment we used to do a lot of jamming and a lot of improv playing. I was doing that with Tony because he’s just so experimental and always coming from weird sounds, weird things, directions. Then Dave LaRue, I play with in Flying Colors, he’s just so jazzy and he’s got so many... He’s really reliable. He’s one of the most reliable bass players I’ve ever played with. You can count on him to hit his mark on every single note, and you can just lock in. He’s an anchor. Yeah, these guys are all different, and it’s all very different kinds of relationships and styles. I’ve been very blessed to have such a great roster of bass players that I’ve worked with. MPc: On The Great Adventure, what are some of your favorite musical moments or tracks? MP: It’s kind of like Similitude in which I look at it more like the big picture. It’s hard with an album like this. I look at it like a movie. If I was just to pull one song, it’s kind of like pulling one scene out of a movie. They’re all like scenes from a movie, these are all songs from a bigger picture. I probably won’t be able to really give a good answer to that until we start playing it live. Once we start playing it live, that’s when you realize the songs that you really feel a great connection with, or something that really lifts you, or something that really excites you or challenges you. So it’s not until we got on the road with this I really know. But at this stage, I like some of the heavier things. I love “Welcome to the World 2,” especially because I get to sing lead vocals in it, and bring this character into the story that’s also on “Venture in Black.” I dig that. I really like the prog stuff we did in “The Element of Fear,” it’s kind of very Crimson-y. But at the same time, I like something like “Vanity Fair,” which is kind of like poppy and Beatle-esque. It’s hard to pick, but to me it’s more about the big picture. Like watching a movie, you want to kind of do it from start to finish and just let the entire story carry you. MPc: Are you going to be doing a lot of the vocals live, as well, when you tour for this record? MP: Well, all four of us sing in this band, and all four of us have lead vocal moments, and then we have a lot of four-part harmonies that go throughout each and every song. So, yeah, similar to Similitude, where we did the same thing. Yeah, it’s going to be all four of us singing the entire show. MPc: Great. Now, let’s talk about your live performance. 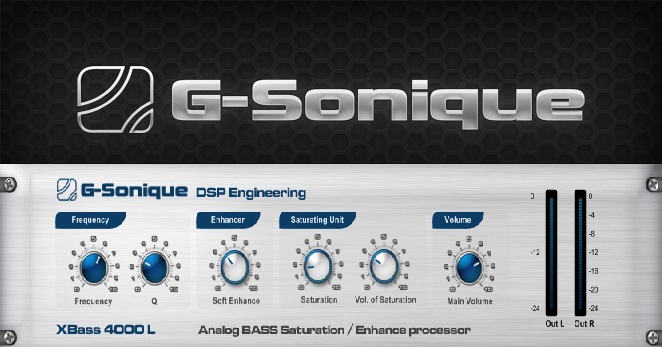 Do you rely on in-ear monitors now, or do you still use traditional wedges? MP: It’s different with different bands, but I always try to use in-ears whenever I can. In the Neal Morse Band four out of five of us do. Neal is the only one that doesn’t. When I’m with Sons of Apollo, myself and Billy and Jeff are on ears, but Bumblefoot and Derek aren’t. So in different bands it’s different kind of combinations of who’s on and who isn’t. But I definitely prefer to have them when possible, especially if they really help the singing as well. In a band like the Neal Morse Band, where you have four people singing, and you have two people playing guitar, and two people playing keyboards, it’s really important to have that kind of separation in your ears. I take advantage of doing a lot of panning so I can hear who’s singing what and who’s playing what so it doesn’t get mushed together. It’s real helpful with a band like Neal Morse Band. 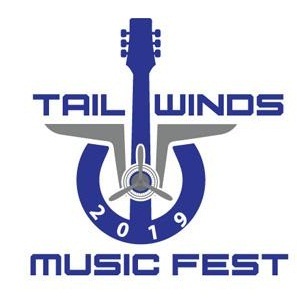 A band like the Winery Dogs, where there’s just three people, you can get up there and play with a wedge and it’s going to feel great. But I think when you have more intricate music, and a lot of instrumentation, it usually helps. MPc: Which in-ears do you like best? I’m sure you’ve gone through many trying to find ones that let you hear all this best as a drummer. MP: I currently use JH Audio. I’ve been using those for years now. I think these last six or seven years at this point. MPc: What is it you would like people to know about The Great Adventure that you might not have been asked yet? What hasn’t come up? MP: I haven’t been asked a lot yet, because you’re one of the first interviews I’ve done for the album. [laughs] I think the story of it going through so many transitions is an interesting one. The fact that we actually wrote an entire album and then threw it away is pretty interesting. It might be interesting down the road to maybe release that version for people to hear, just for curiosity of what this album originally was when it was just a single album not connected to Similitude. That’s an aspect that I think people will find interesting once this album is out and they get to know this. MPc: Well, given that, as you pointed out, you’re 20 albums in now, and you’ve still got many more years left to go, eventually there can be some great deluxe box set that has an extra CD or two of unreleased records! MP: Yeah. Well, you know, Neal and I are real good like that. When I was with Dream Theater, I always did the official bootlegs. That always came from my collection, and I was the one that put every one of those together, as well as the fan club CDs. That was all the stuff from my archive. I love doing that, and Neal does it as well. He has a thing called the Inner Circle, where he’s constantly putting out cool demos and behind the scenes stuff. So between Neal and I, we pretty much make sure everything gets out there at one point or another.